When it comes to big speeches, they don't come much bigger than an address to a joint session of Congress in Washington D.C. So you might expect a degree of apprehension from someone tasked with giving such a speech. If President Trump had those concerns on Tuesday night, then they weren't exactly evident. Perhaps he'd rehearsed his speech? Clearly he had. 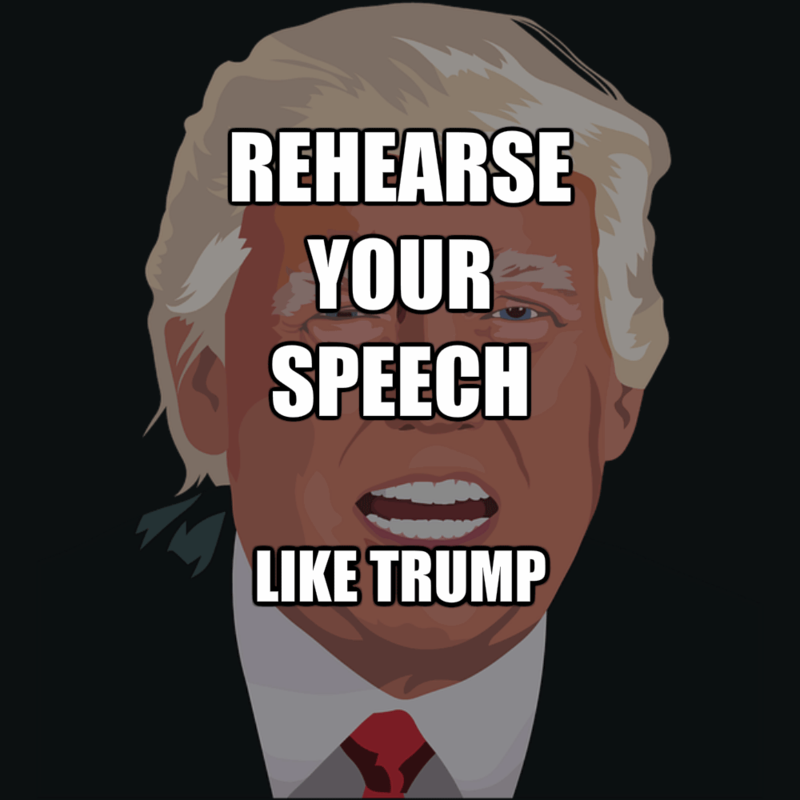 So now's your chance to rehearse your speech like Trump. So how did he do it? Because by most accounts his speech on Tuesday to the joint session of Congress managed to hit all the right notes. And that's not something that everyone expected. Practice and rehearsal. That's it. Because he clearly made a commitment to get this speech right. Yes, his use of auto-cue remains a bit wooden. But that familiarity is just having to come with more experience in office. It could be speculation. And it might even be fake news. But there's more than a suggestion that the President was reading through his speech on the drive to Congress. That's not really remarkable, if, indeed that is what he was doing! Most of us, however, are not going to be driven to our next public speaking opportunity. So our practice and rehearsal sessions are more likely to be private. In the office, perhaps. Or maybe at home, after hours. But whatever the venue, you have to commit the time and effort to practise your speech. You should aim to practise out aloud. Just like President Trump. But, perhaps we'd suggest some practice well beforehand. These tips might help, whatever the occasion. Rehearse the flow and the timing of the points you make in your speech. Edit your material as you practise the flow. You take the chance to edit out any awkward words or phrases. Then simplify longer sentences as you go. Familiarise yourself with your material. Most of us simply do not have the time to learn a speech. So, aim to become familiar with the flow, rhythm and structure. 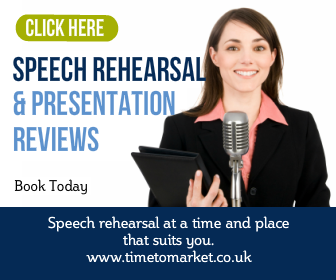 You can read more about public speaking practice with our range of public speaking tips. 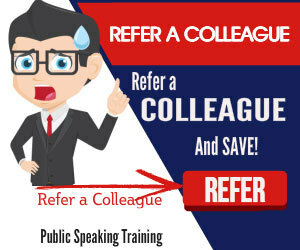 Alternatively, you can always consider some pre-conference coaching, so you are ready for your next conference speech.